The bodies of 11 decomposing infants were discovered in the ceiling of a shuttered funeral house in Detroit on Friday during a gruesome discovery. The bodies were discovered in little trash bags, most in a cardboard box and others stuffed in a little coffin, police said. The discovery was made after the Michigan Department of Licensing and Regulatory Affairs (LARA), which licenses funeral homes, was sent an anonymous letter Friday afternoon, which explained precisely where the remains might be discovered igniting the search. ” They were in fact in a cardboard box, 9 of the 11– they’re extremely small remains,” Bowser continued. “They were in a cardboard box packed away from a stairwell,” he also added they are in possession of the names of a few of the deceased babies and the medical examiner will perform an examination to see when and how they died. This investigation has not yet been ruled as a homicide or malpractice. 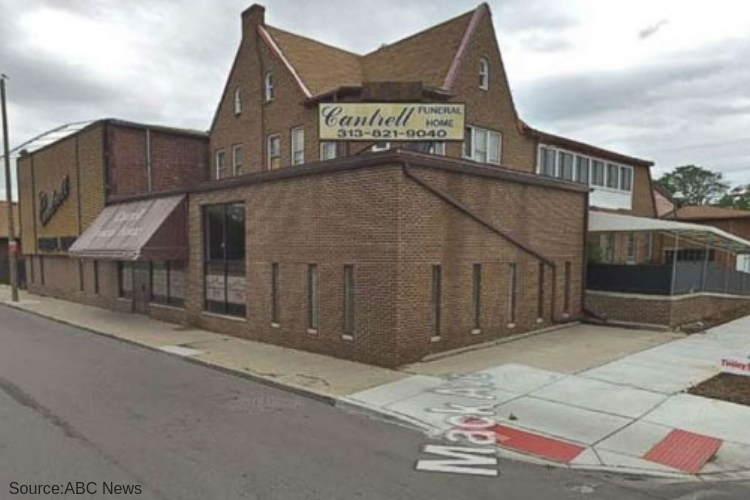 The Cantrell Funeral Home was closed down in April due to a variety of troubling violations, according to Detroit ABC. Most of which were health code violations and pure neglect. Violations included dirty floors, peeling paint, mold, improper storage of embalmed bodies, with one in “sophisticated phase of decay,” and fraud, deceit, or dishonesty, incompetence, and gross negligence in the practice of mortuary science.” LARA called the offenses “Disgusting” at the time. The Detroit Police Department will continue to examine the discovery Friday and had cadaver canines searching the residential and commercial property of the previous owners for any information on the remains found, Bowser said.” Obviously, we have to discover what occurred, and why it occurred,” he said. LARA released a statement to the media discussing the discovery and the April offenses. The funeral home has now been sold and already is under new ownership. The new owners hope that their new rec center will diminish the bad reputation the home once had.